Earlier this month, we visited Japan as first-timers to the Land of the Rising Sun. 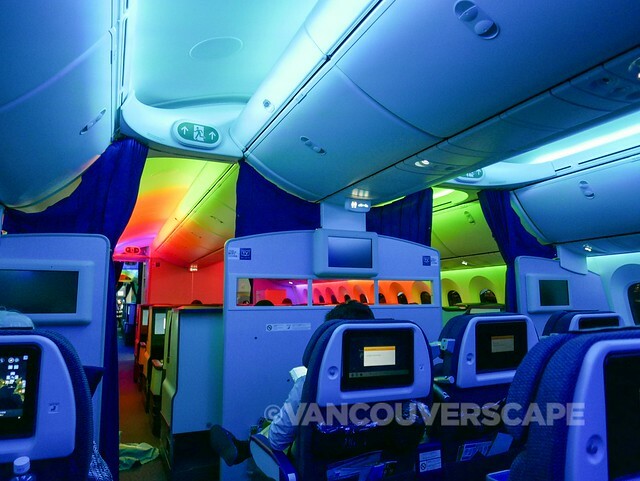 A welcome bonus was getting upgraded to Premium Economy on All-Nippon Airways (ANA’s) Boeing 787-900 Dreamliner. We were surprised to see how many little extras were included, aside from the obvious: roomier seats with more legroom. 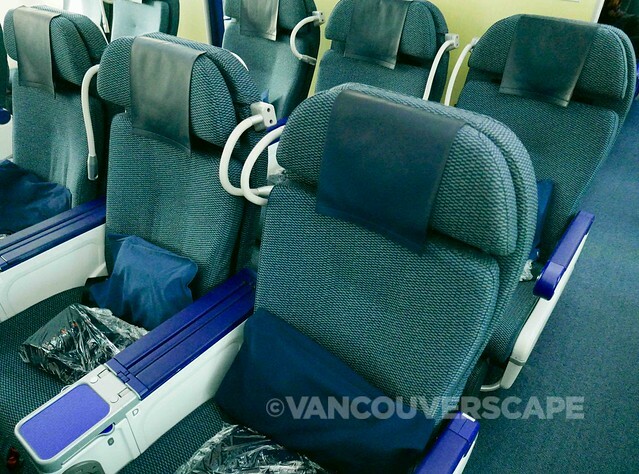 In a separate cabin following first and business classes, ANA’s premium economy seats are configured 2-3-2 across the aircraft; they’re also 17% larger than in economy class. The seat pitch is 95.6 cm (38″) with a width of 49 cm (19.3″). You can plug in below the armrests with outlets in between seats. The windows are the first things we noticed: no pull-down shades! Instead, there’s a control panel underneath each window to dim the brightness in varying shades of blue (going almost black at the darkest setting). 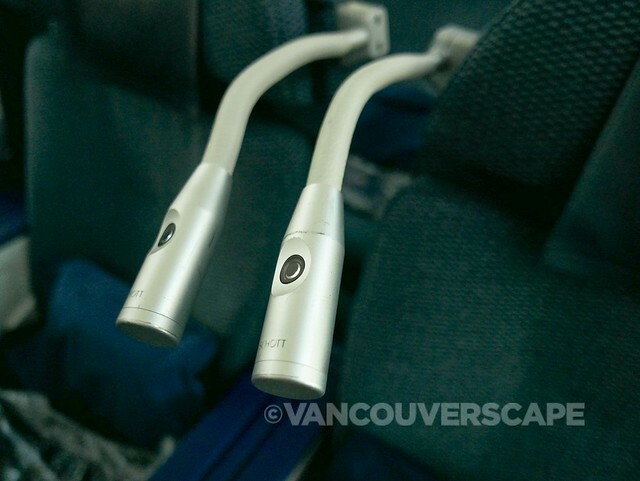 At each seat is a bendable, individual three-level reading light, leg rest and adjustable footrest. 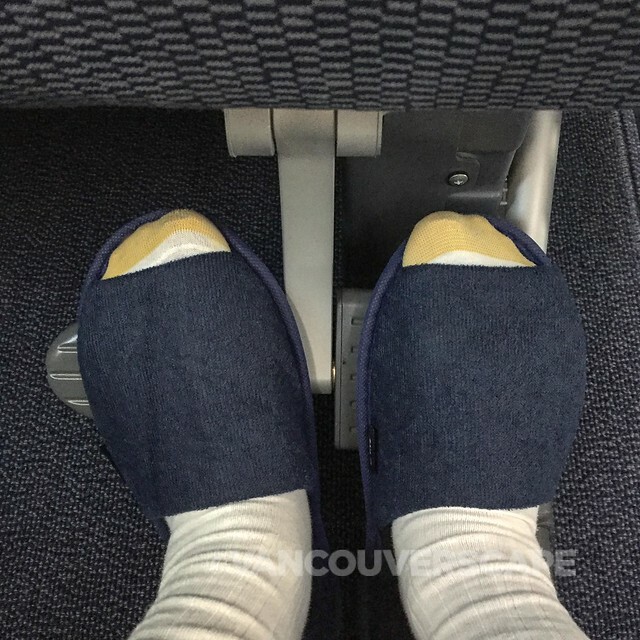 Just before takeoff, you’re offered a selection of amenities (toothbrush, toothpaste, eye mask, facial cloth, earplugs) and inside the seat back pockets are Sony noise-cancelling headphones, slippers (plus take-home bag) and shoehorn. A larger (28 cm; 11″) touch-sensitive screen is programmed with over 350 shows and movies (many in Japanese). Sky Channel movies are broken down into new releases, “Hollywood & More” (the same five new releases plus another 43 options), Japanese and World movies plus animation/kids. You can also catch Sky Live TV channels CNN International, Sport 24 and NHK World Premium (the latter in Japanese). 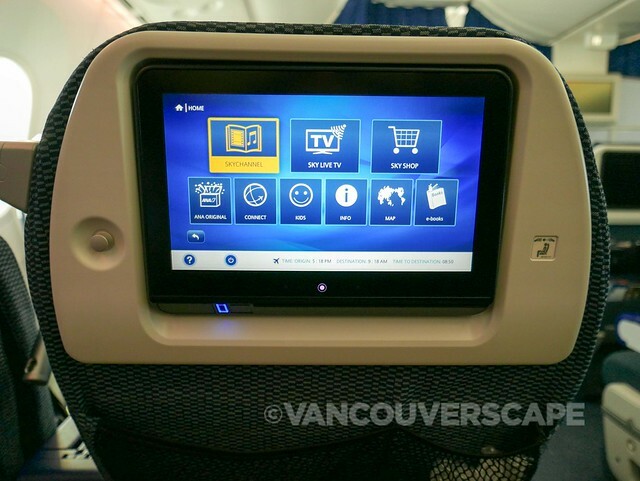 We didn’t try the USB media player option (connect to view media), nor the Seat to Seat Messaging (a way to get messages to and from fellow passengers using the back of the handset). I noticed a few games for kids on the screen too. TIME Magazine (July 25 edition on a September 9 flight) Kateigaho International Japan (plus other Japanese zines) in e-book format round of the variety of choices. 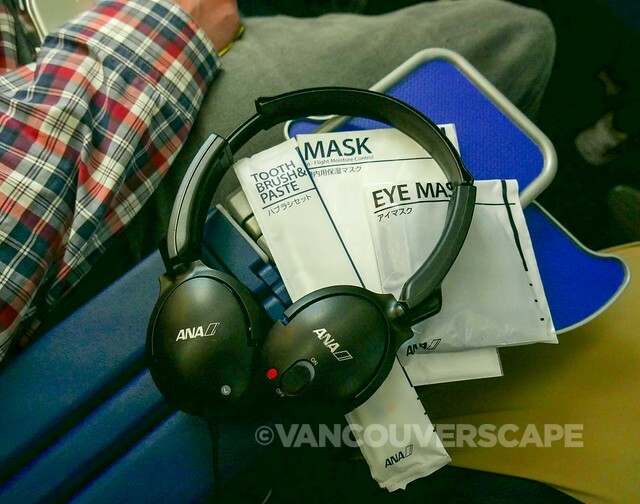 If you really need Wi-Fi during your flight, ANA charges US $6.95 for 30 minutes. 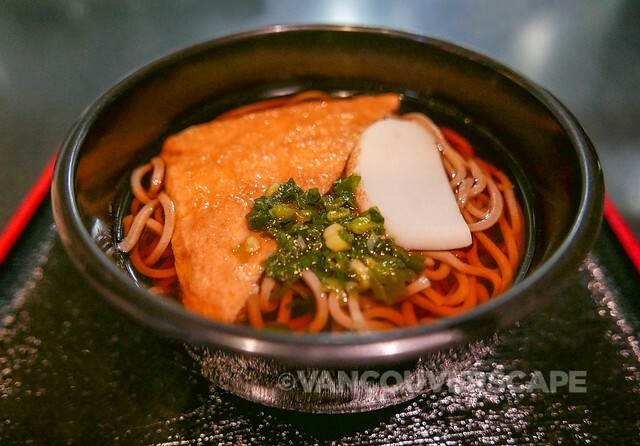 We found the same two offerings from economy class with a few additions: an upgraded wine selection, dessert tray and hot soup noodles anytime during the flight. Flight staff come around with a laminated menu in English and Japanese showing the menu in both languages along with each one’s calorie count. Handy so at least you know what everything is once it’s placed in front of you. The service is top-notch; everything’s served with a smile as we chose between a curry and creamy pasta dish. The side-dish containers are filled with Japanese foodstuffs (tamago, edamame, pickled veggies, etc.). And there’s real silverware in all cabin classes. Cups of Mario gelato followed dinner service. 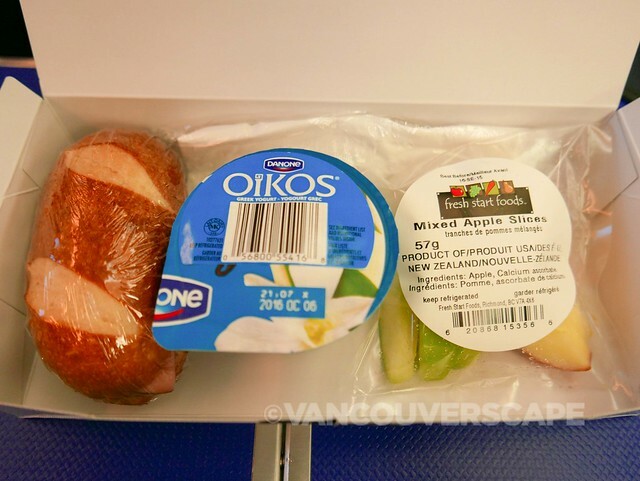 Food on flights is nothing to rave about but we were glad to see a lot of small bites to satisfy (hopefully) all palates. Premium economy passengers are allowed two checked bags (up to 23 kg each), one carry-on bag (up to 10 kg) and one personal item. 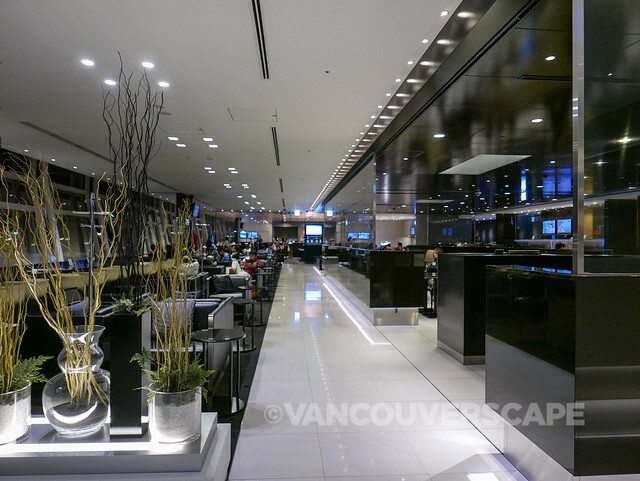 We were invited into Haneda Airport’s ANA Lounge ahead of our Tokyo to Vancouver flight home. 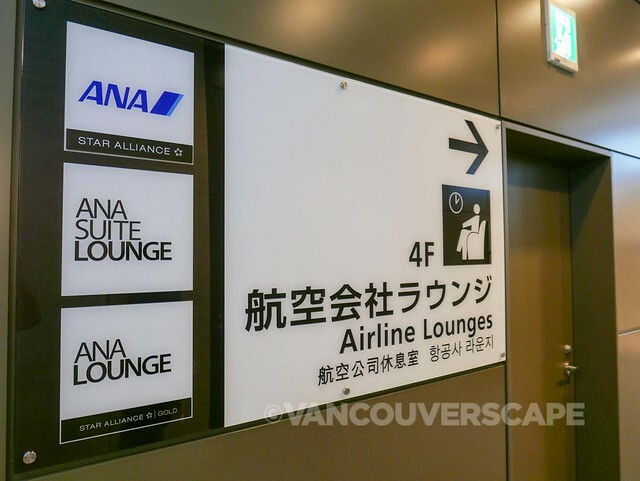 The Haneda lounge is open to ANA Million Mile, Diamond, Platinum, Bronze and Super Flyer passengers, those flying on First, Business and Premium Economy internationally as well as Star Alliance Gold, ANA Card Premium and Suite Lounge voucher holders. 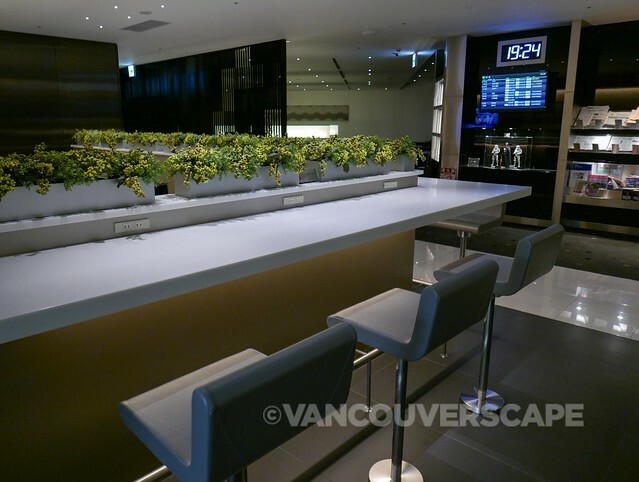 Several Japanese airports include ANA lounges with entry varying per member status as well as mileage accrued. We started with a refreshing shower after touring Shinjuku district on a busy, rainy Saturday. You’re given a pass to one of 12 shower rooms with a 20-minute time allotment. 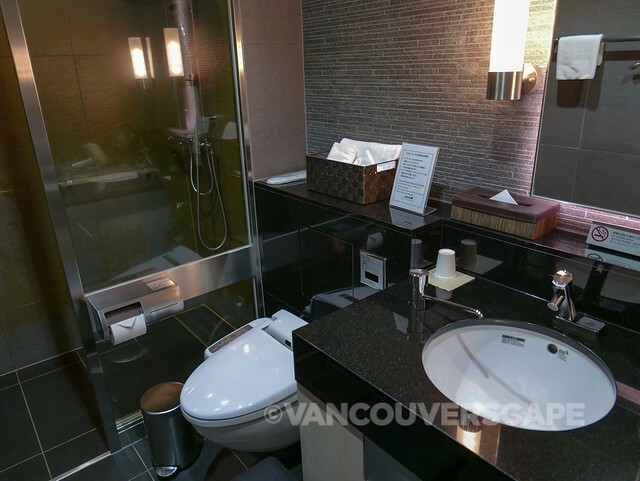 A basket of amenities, towels, hair dryers, slippers and rainfall shower all await weary long-haul travellers. This large, modern and sleek lounge comprises several seating rooms and arrangements. A majority of the seats and counter spaces have outlets at the ready for getting work done or tech charged up. Large screen TVs remain in silent mode for maintaining a peaceful atmosphere (though small children are allowed inside, so you’ll hear them perk up on occasion). On the evening of our visit, piano music played over the speaker system. The extensive range of dishes on the menu changes monthly. 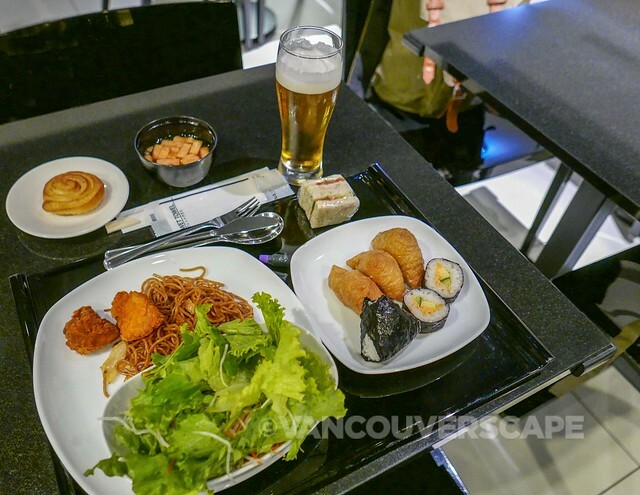 Fresh salad, dressings, finger sandwiches, rice balls and sushi, chicken curry, soups, breads, a noodle bar (with six choices) and dessert are all in ample supply. 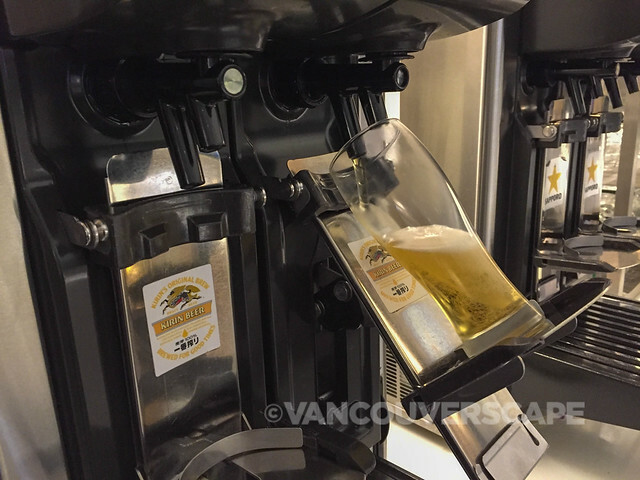 Special automated tilting Kirin and Sapporo beer dispensers avoid a large head as the beer is poured. 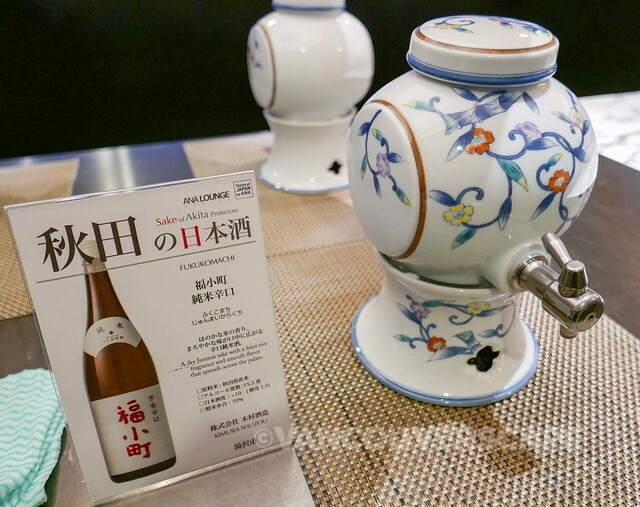 The sake bar contains elegant ceramic dispensers. Red and white wines, spirits, hot beverages and chilled water are also on offer. 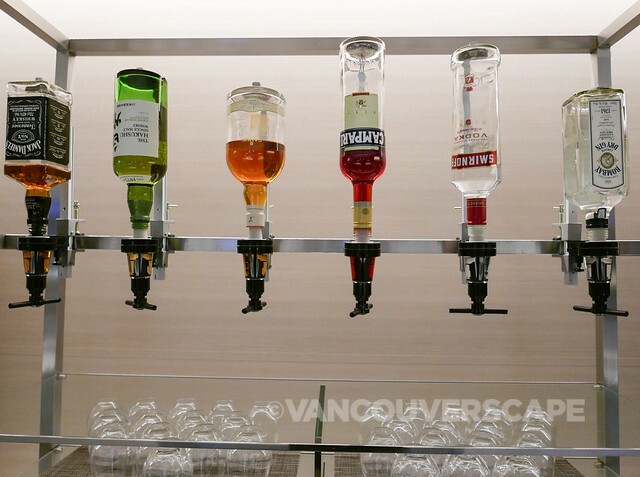 At the opposite end of the lounge, food and drink options repeat. A wide range of international and Japanese magazines and newspapers sits at either end as well. A few screens indicate upcoming flights; boarding is announced in both languages so you can remain here until yours is called. 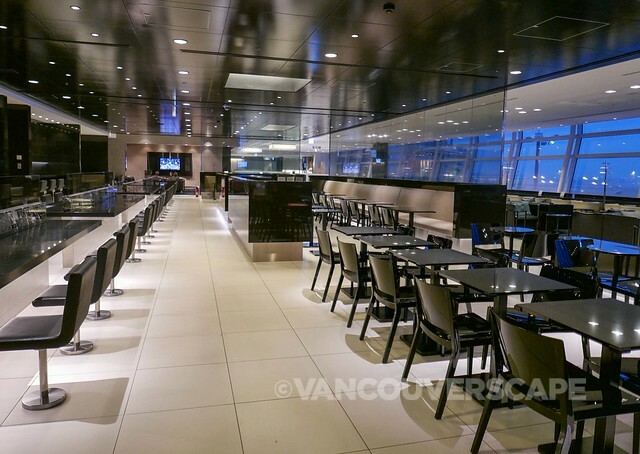 Having the lounge made available to us ahead of a long flight was a wonderful way to relax! 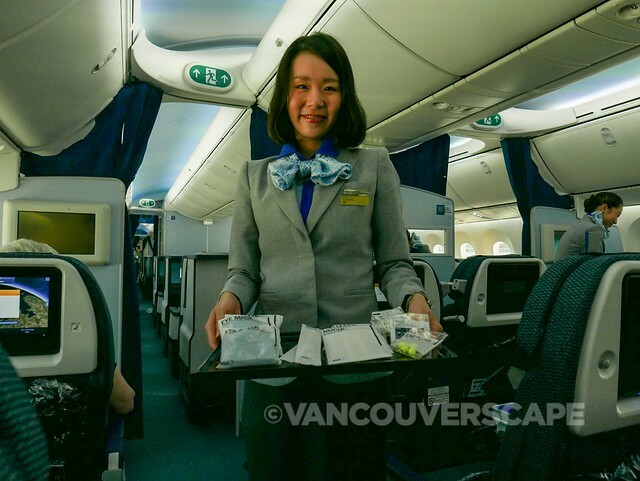 This was our first flight to Asia and we’ve gotta say, the team at ANA are on top of their game when it comes to efficiency, service and cleanliness. Staff came around regularly to pick up items, keeping the cabin tidy for our 10+ hour flight into Haneda (and back home to Vancouver). 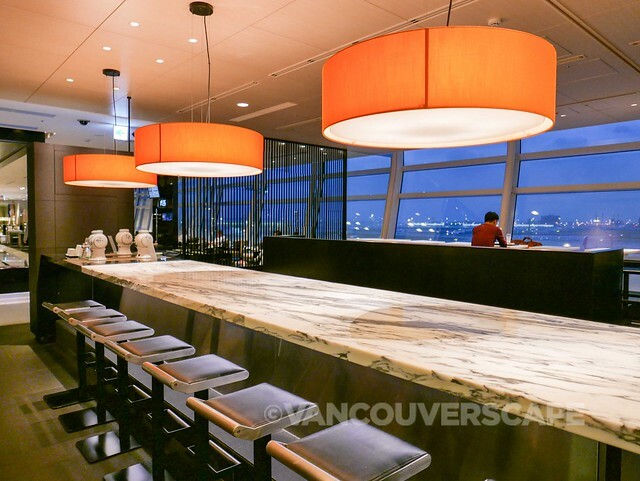 ANA flies nonstop from YVR into Haneda (vs. Narita). This shaves a considerable amount of time getting into downtown after a long flight. The Tokyo Monorail from Haneda gets you downtown in around 15 to 20 minutes and if you arrive in time to get your JR rail pass activated before the office closes (6:30 pm nightly), it’s valid on the monorail.